In the last post I featured The Rifle Volunteers, some of whom went off to fight in the Boer War. The country had a number of volunteer military units, usually organized by County. In 1908 the government of the day organized all of these volunteer militias and yeomanries into a national organization known as the territorial force. After 1922 this became known as the Territorial Army. The word territorial by the way was intended to signify that its volunteers were not required to serve overseas – something that has been overlooked by more recent politicians. The TA soldiers were trained as fighting men and expected to meet full combat requirements. But there was a second stand of volunteers, the Home Guard, who were generally expected to serve useful but non-combative roles in the event of invasion. The popular TV series Dad’s Army was not too far from the mark. The Home Guard was stood down on December 3rd 1944 and this photograph was taken to mark the occasion. 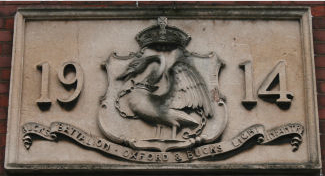 The 1st Buckingham Rifle Volunteers were formed in 1877 and did their drills in one of the works buildings. 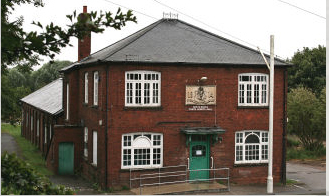 However in 1914 a Drill Hall was built down the hill on the Haversham Road. This is what it looks like today. There is little difference from 1944 except for the provision of wheel chair access. 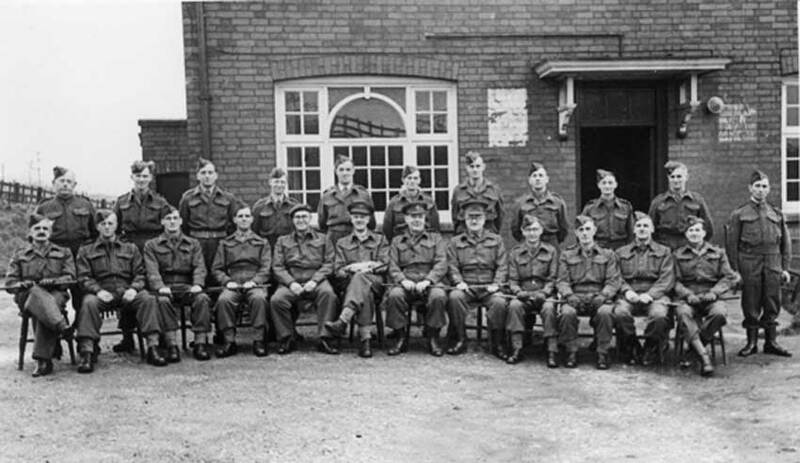 The Territorial Army continued to use the Drill Hall as its base after the WWII, although reduced in numbers. I seem to remember that there was a commanding officer there and regular activity. I don’t know when it ceased to function as an active Drill Hall.